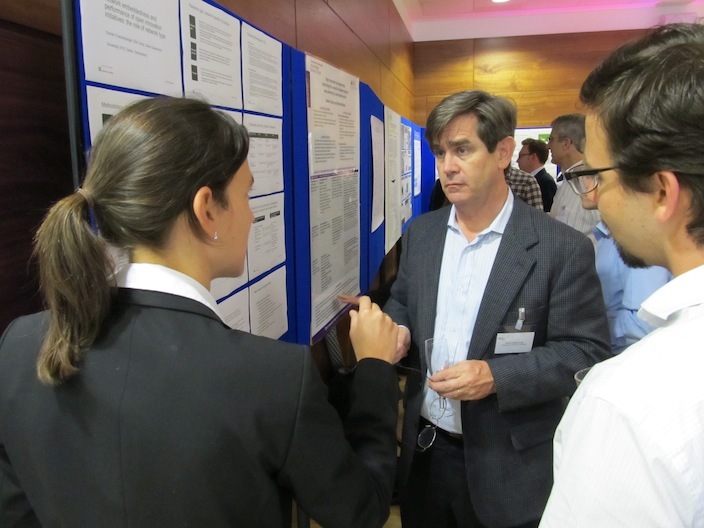 This week’s #oi2012 conference at Imperial College London was a great success, if the comments that I heard and the surveys returned are representative of the attendees at large. While the conference was organized to help develop papers for our special issue, in retrospect it also served another purpose — perhaps the largest gathering of leading open innovation scholars in one place at one time since the publication of Open Innovation in 2003. I realize that’s a strong claim to make, but I’ve been racking my brain to come up with a comparable conference in the past nine years. Certainly there were sessions at DRUID or AOM (2004 and 2005 come to mind) with a diverse range of talent. 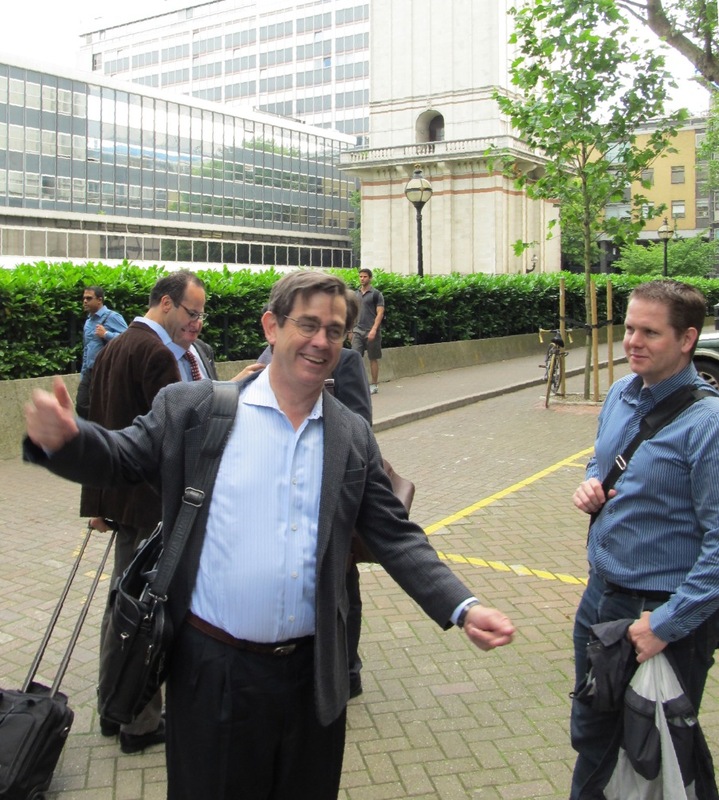 I’ve attended very interesting OI tracks at EURAM and UOI, but not when the big names were in the room. Obviously this was no coincidence, as we invited a range of recognized scholars to submit their work for the conference. 34 of the 60 attendees were authors or co-authors of one of the plenary papers, with another 8 authors of posters present. (Most of the remainder were affiliated with Imperial or UK~IRC, two of the three conference sponsors). As Frank Piller pointed out to me later, the attraction of the special issue also attracted better quality work than one would normally find at a conference. The nature of the attendees demonstrates the vibrancy of field (stream? movement?) of open innovation. The discussion was vigorous and spirited, with authors getting welter of ideas of how to improve their work. We deliberately allocated half of the presentation for discussion, by some combination of the discussant and the audience. Several times I had to bite my tongue — when presenters were arguing with those trying to help improve the paper, rather than quickly thanking them for the suggestions and using the time to solicit for further feedback. (We also had good participation at the posters — not as many people hearing each poster, but for some authors, as many people providing feedback as in the plenary session). In addition to the four guest editors, strong comments came from Oliver Alexy, Joachim Henkel, John Hagedoorn, Todd Zenger and (on Tuesday) Massimo Colombo and Keld Laursen. (Near the close of the conference, I think the authors were cringing when either Laursen or Salter proceeded to identify the key weakness of the paper). Our objective was not to showcase polished work, but to help the authors achieve the maximal benefit from the conference through feedback that anticipates future reviewer concerns. With 30 papers, I’d be hard pressed to identify a trend. However, some issues came up more than once. One point was that while people agree we need more work on outbound innovation (a point Marcel and I made in our study of inbound OI), several people pointed out that the practices did not begin with OI — but instead tie at least a decade (e.g. Arora et al 2001) to the markets for technology literature. At the same time, outbound OI is more than just licensing technology. This is a point Joanne Zhang and Andy Cosh hinted at in their presentation. In fact, many of us are eager to learn more from Cosh, Zhang and others of the UK~IRC about what they’ve learned from the UK~IRC survey of 1,202 UK companies in manufacturing and services. With a questionnaire more tailored to OI issues, the Cambridge & Imperial papers from the study promise to (at least briefly) supplant studies from the Community Innovation Survey in providing large-scale evidence of OI practices. While I don’t know that we can repeat it, I know that all of us are grateful — as Ben Martin acknowledged Tuesday — for the contribution of those who came as well as our own success in attracting and organizing the program. That the conference happened at all was due in large part to the tireless and methodical efforts of Maryam Philpott in making it all happen. No matter how good the conference, in the end what it leaves behind is good memories: like footprints in the sand, they will be soon washed or blown away, forgotten forever (unless you live next to Vesuvius). 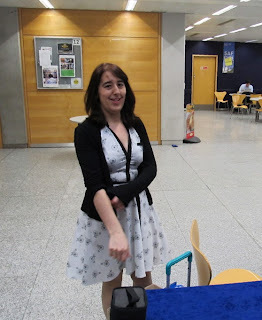 In our case, we had no volcano, but there is a scrapbook of my photos from the conference is available on Picasa. Thanks again to all who came. We hope you enjoyed it as much as we did. The nominal reason for this week’s #oi2012 conference at Imperial was to prepare authors and manuscripts for the special issue of Research Policy. (The real reason was to get some of the best open innovation scholars in the world under one roof to teach and learn from each other). Our VIP guest for the conference was Ben Martin of SPRU, who is lead editor of Research Policy and perhaps the most visible tie remaining to Keith Pavitt, Chris Freeman and the earlier era of SPRU and RP. In his opening talk Monday, he presented his “20 challenges for innovation studies (from his paper for the Lundvall festschrift). He didn’t have time to present the trends of publication in RP (which having hard data I thought was more practical); instead, he focused on his predictions of future trends which were (as promised) provocative but at times somewhat implausible. In a brief talk Tuesday just before lunch, Martin spoke about something nearer to the hearts of the assembled audience of OI researchers — how a Research Policy special issue works. He talked about the guidelines and heuristics RP as developed to get special issues that provide both quality and integration. an opportunity to hear and read other papers, to build in links between the papers. This what RP looks for in a special issue — and, I submit, what the guest editors have done thus far. All that Martin’s praise cost us was a Pimm’s at Monday night’s dinner. Finally, he encouraged the audience a submit their own proposal in the future for one of the 2-3 annual special issues of Research Policy. 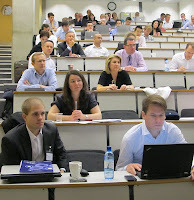 This morning we kicked off the two-day open innovation workshop (#OI2012) at Imperial College London. The four editors of the special issues were on hand to hear Ben Martin (lead editor of Research Policy) talk about 20 challenges for innovation studies going forward. We have a very impressive lineup of 22 papers and 8 posters which promise to move the study of open innovation forward. With 60 attendees registered — all interested in open innovation — the two days promise to have a vigorous discussion of the papers and the field going forward. We are quite pleased with the participation of authors and attendees. The vigorous discussion should help both the individual papers and the overall portfolio of work that we receive in August for the Research Policy special issue. Jingshu Du, Bart Leten, Wim Vanhaverbeke: Does Open Innovation Improve the Performance of R&D Projects? Katja Hutter, Johann Füller, Carina Thurridl: When the Crowd gets Messy – How to Avoid Open Innovation Disasters?